It was two years ago that we found and rescued little Lucy from a local Wendy’s parking lot, the morning after the first freeze of the year. We found her the night before, but couldn’t convince her to let us pick her up. After a cold hard night she was ready for food. Her little nose was skinned bare; we will never know what happened to her or how she got into the predicament she was in. We just know that she is now ours forever! 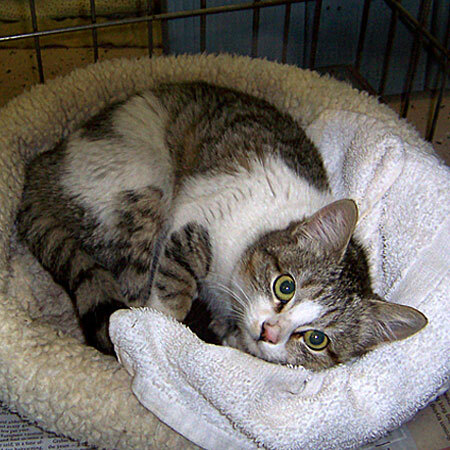 This entry was posted in Pets, Wordless Wednesday and tagged abandoned, cat, rescue. Bookmark the permalink.